Ιδανικό για χαλάρωση και διασκέδαση, το Khemara I Guesthouse βρίσκεται στην περιοχή Κάμποτ Κέντρο της πόλης Κάμποτ. Σε απόσταση μόλις 0.1 km από το κέντρο της πόλης και 138 km από το αεροδρόμιο, αυτό το 2.5 αστέρων ξενοδοχείο προσελκύει αρκετούς ταξιδιώτες κάθε χρόνο. Με την βολική του τοποθεσία, το ξενοδοχείο προσφέρει εύκολη πρόσβαση στους προορισμούς της πόλης που πρέπει οπωσδήποτε να δείτε. Με τις υψηλού επιπέδου υπηρεσίες και την μεγάλη ποικιλία ανέσεων, το Khemara I Guesthouse δεσμεύεται ότι η διαμονή σας θα είναι όσο πιο άνετη γίνεται. Κορυφαία χαρακτηριστικά του ξενοδοχείου συμπεριλαμβάνουν τα δωρεάν WiFi σε όλα τα δωμάτια, 24ωρη φύλαξη, τζάκι, παράδοση ειδών παντοπωλείου, 24ωρη ρεσεψιόν. Όλα τα καταλύματα διαθέτουν τις απαραίτητες ανέσεις για να εξασφαλιστεί μια ασυναγώνιστη αίσθηση απόλαυσης. Εξάλλου, το ξενοδοχείο διοργανώνει πολλά ψυχαγωγικά δρώμενα έτσι ώστε να έχετε πολλά πράγματα να κάνετε κατά τη διαμονή σας. Όποιος κι αν είναι ο σκοπός της επίσκεψης σας στη Κάμποτ, το Khemara I Guesthouse είναι μια εξαιρετική επιλογή για μια χαρούμενη και συναρπαστική απόδραση. Nice spacious room, a little bit hot would recommend paying more for an Air conditioned room. Staff were friendly. One of the worst hotel we've been in Asia. If you pay for a fan room, prepare to melt under the heat. They don't give the aircon remote even if it's in the fan room, which is kind of insulting. The staff will try to rip you off, so be careful to just buy or rent things from the owner (the woman). They also don't speak english very well so a lot of time they we're just useless. Don't pay more than 5$ for the scooter and there is a printer if you need one (the staff told us no at the beginning). Make yourself a gift and don't go there. The room is so leanliness , I feel comfortable The staff are friendly Location is near center kompot, You can rent a motobike to around the city. Friendly welcome to a small, beautifully clean and well equipped guest house. Our room had 2 windows letting in plenty of light. We had a kettle, fridge, bathroom, fan and Aircon. It was an easy walk to the centre during the day but we didn't attempt it at night due to the lack of lighting and deserted streets. We hired a moped and within minutes we were at the river front. We would certainly stay again & are already planning to do just that. You can't beat it for value. The room was awesome for the above we paid. Two beds, decent internet, hot and cold water and helpful staff. It's a little bit out of the throat center but less than a minute walk. It's very close to a good size supermarket and the big Kampot outdoor market. I definitely recommend this place. The staff are nice and easy to communicated in English. 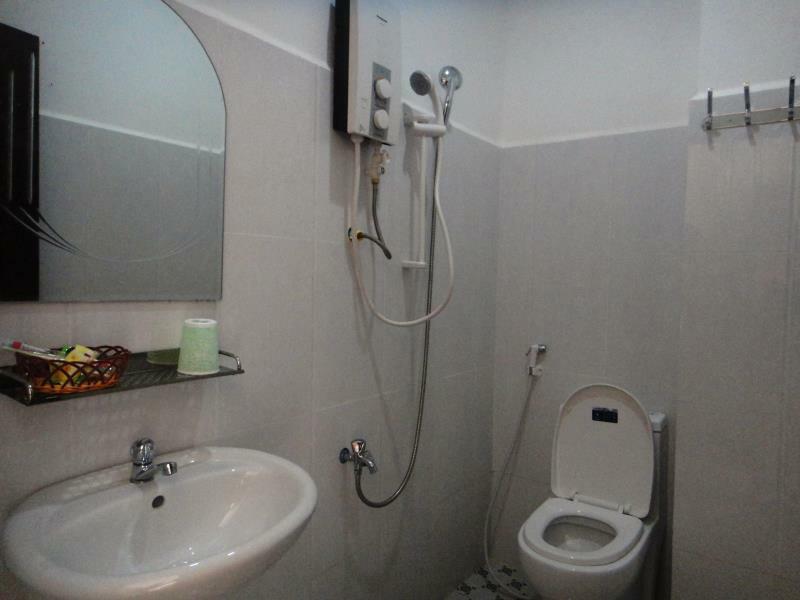 The facilities are enough as a guesthouse as we don't expect much from them. 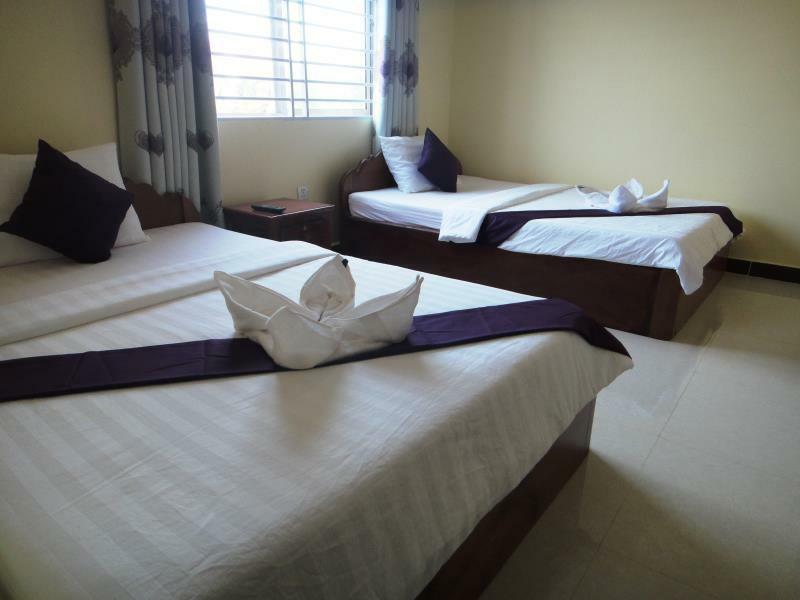 If you want to have great service and facilities to make your vacation perfect, there are many other villas and hotels around time at higher price. 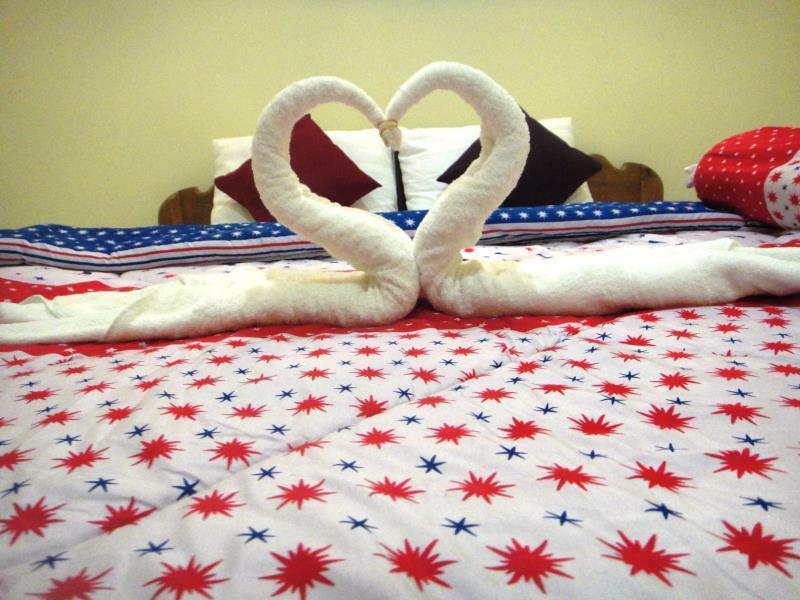 But if you want to save money with fair service and facilities, this hotel can be your option. Pros - Great value for the cost, good local restaurant by the same owner next door, good English, very friendly to me and my family. Cons - Bottle water is expensive, no kettle for hot water for tea or coffee. We enjoyed our 3 nights here. Great location, just a few metres from the indoor market full of every fresh produce you can think of...we picked up dinner for £1 for both most evenings. Staff were so friendly and helpful with booking our tickets for our next destination to Ho Chi Minh. We would highly recommend. We suggest an air con room as it does get quite stuffy at night. Great wifi and nice big clean room. We stayed almost 2 weeks in this Hotel. We didn't plan to stay in Kampot at first but fell in love with the city and couldn't leave for a while. The hotel is great! It's new, everything is really clean and the staff is really nice. They speak english and can help you with anything you need. We also rented a motorbike and bus tickets from the hotel, which is really convenient. I recommend this place and would come back anytime! Thanks again! Very good place, nice and helpfull stuff. 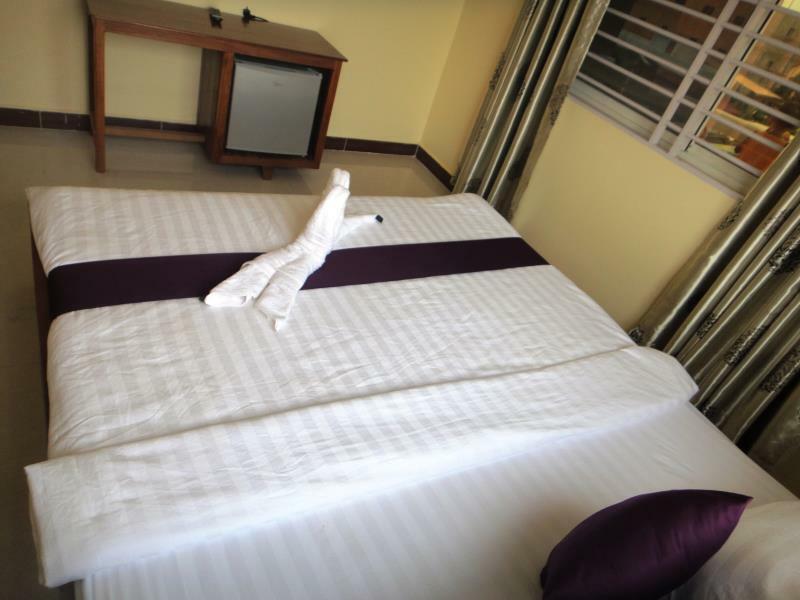 cleanest room we had in cambodia. - the mattrass is a little bit saggy. Σταθμός Λεωφορείων Kampot στα 0.57 χλμ.